As well as running nutrition workshops Daley Nutrition loves to help business with their product developments leading to healthier and more nutrient dense products that suit their customers. We have extensive knowledge about government nutritional guidelines, food group servings as well as nutritional biochemical knowledge about the nutrients in foods. We have an understand about the Food Standards Australia New Zealand food code and can apply this knowledge to help with your product develop to ensure your products add up to the claims. I.e. 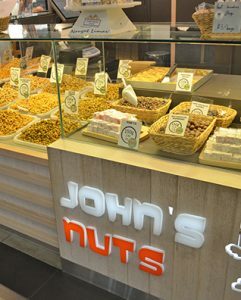 high in protein, low in fat, high in calcium, fibre etc. We also run community workshops to 10,000 people a year including universities, schools, workplaces and community centres and can offer samples and feedback from our clients about your products. Please note this only applies to healthy products that we endorse of, i.e. our partners eco-bananas. 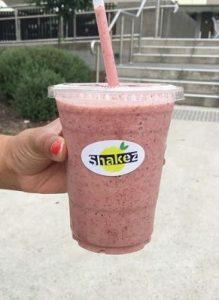 In 2017 we were contacted by Shakez Smoothies based in Lilydale shopping centre. They have a really strong healthy line of smoothies that we believe in and wanted to help support. Nutrition School Incursions for kindergarten, primary, secondary school years. Created to be fun & interactive. Cooking Demonstrations run by Registered Nutritionists and Dietitians, including quick, easy and tasty recipes. Nutrition presentations, staff nutrition consultations, health checks for Melbourne workplaces. Interactive & informative programs. Nutrition consultations online & face to face, include a wide variety of needs such as FODMAP, weight loss, sports nutrition and food intolerances.